While it may not seem like a huge deal if your thermostat gets bumped, or if the cover wasn’t install correctly, it can actually cause your thermostat to work improperly. 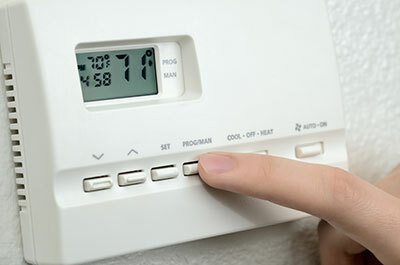 If your thermostat is off balance, then your heating and air conditioning systems will have to work harder as a result. At Boerne Air Conditioning Experts, we can help you calibrate your thermostat if you find that your home seems to be too chilly or overheated. When your thermostat is not properly calibrated, the temperature reading in your home could be off. This will make your air conditioning system would inefficiently, because it is attempting to meet the higher or lower temperature your thermostat thinks you set. Although calibrating your thermostat might seem like a simple task, it’s best to allow one of our technicians to perform the re-calibration to ensure that it is done correctly. 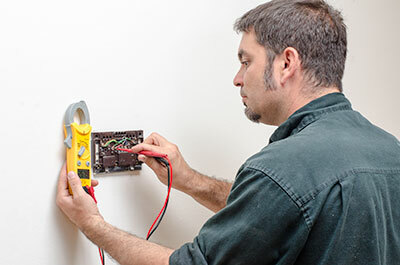 First, our team will check to make sure that the actual temperature of your home is different from the reading on the thermostat, which indicates the need for a calibration. Then, we’ll thoroughly clean your thermostat to ensure that there is no dirt trapped in the connections. We’ll also check the area around the thermostat for elements that might be interfering with an accurate temperature reading. For example, candles placed too close to a thermostat can cause the thermostat to register a higher reading, or a cold draft from a nearby window might lower the reading. A calibration screw will then be used to help our technician level the mercury in your system. Finally, we’ll perform a final inspection to guarantee that the calibration is correct by running the air conditioning to make sure the system is working properly. Many different thermostats are calibrated in varying ways, so how often you should calibrate your thermostat really depends. There is no set limit on how many times you can calibrate your system when setting your thermostat. For many large office or commercial spaces, it’s sometimes best to calibrate your thermostat every day; however, this is not necessary for your single-family home. Our professionals at Boerne Air Conditioning Experts suggest that your systems be calibrated by one of our trained technicians at least once. By doing so, you can get the full potential out of your air conditioning system. While the importance of calibrating your home’s thermostat may seem minor, it can actually greatly aid in increasing the energy efficiency of your home. If all aspects of your air conditioning systems are functioning properly, then you can rest assured knowing that your house will be as energy efficient as possible throughout summer and the warmest months of the year. It’s quite possible that you’ll even see a drop in your energy bills throughout the hotter months. If you have any addition questions about the calibration of your thermostat or the condition of your air conditioning systems, feel free to reach out to any one of our team members at Boerne Air Conditioning Experts.